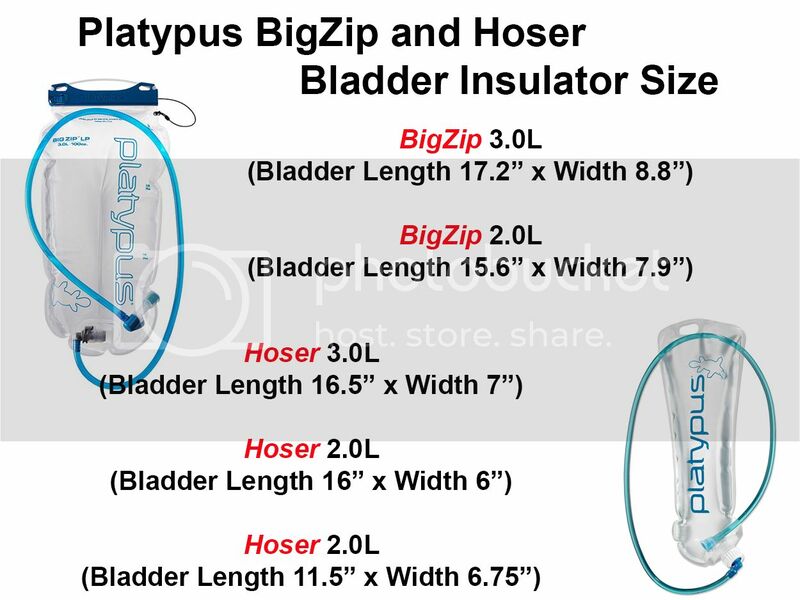 Just like the beer koozie, Bladder Insulators will Insulate your Platypus® Big Zip or Hoser hydration pack water bladder - reservoir. These insulators will help keep your water cool for those who are active in the outdoors during harsh weather conditions. Insulate your water bladder before you put it in your pack or carrier. Made of 4mm neoprene wetsuit material. Keep your water cool in the heat and prevent freezing during the winter. Don't see your Measurement or have a Question? Please Email Us before purchasing. We want to make sure you get the right Bladder Insulator. Hydration Tube Covers are protected by exclusive licensing rights. All rights reserved.